Works our progressing nicely at this 633,000 sq ft development on the outskirts of Derby. 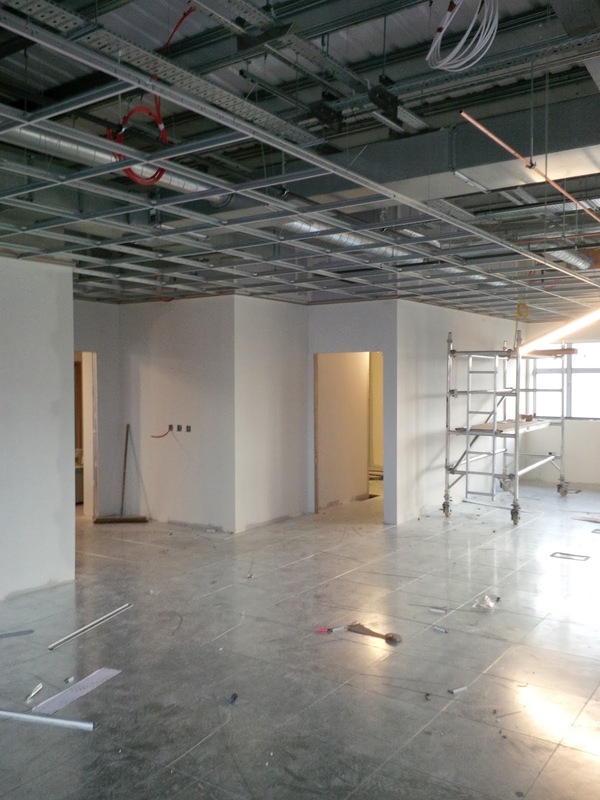 In this substantial sized fit-out, Bespoke are undertaking works in five individual office areas. 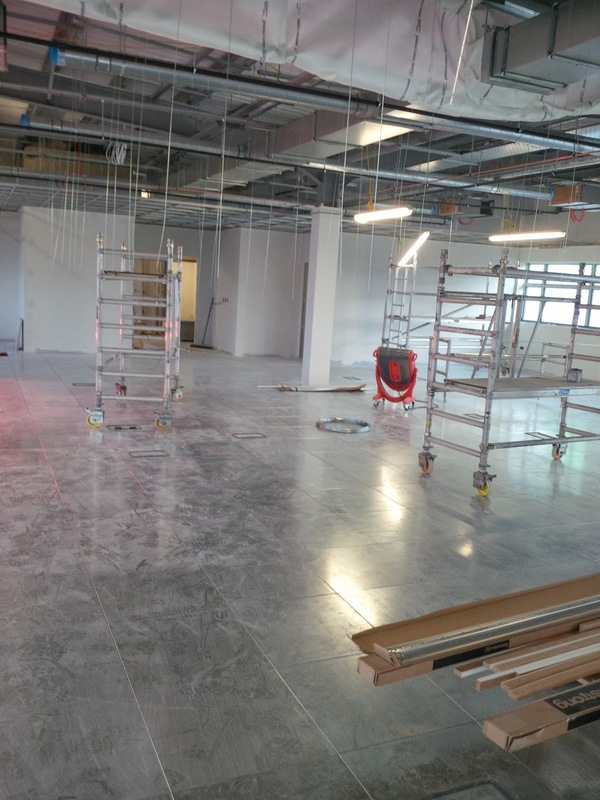 In the main office area, raised access flooring and internal partition walls have been installed, with suspended ceilings and demountable partitions set to be installed imminently with smaller areas to follow suit within the coming weeks. Due to be completed in March, this £45 million project for end user and drinks flow logistic company Kuehne & Nagel is to be completed for this years World Cup. Dutch beer giants Heineken will be using the development as their new hub and will no doubt help the nation drown its sorrows in England's inevitable failure.